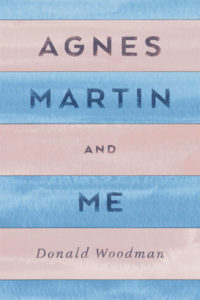 Agnes Martin and Me now available on Kindle! Horizons: Photographs by Donald Woodman, a focused exhibition featuring recent works by internationally recognized artist and longtime Duggal client Donald Woodman. With a career spanning over forty-five years, Woodman is an established large format photographer and has collaborated with and assisted artists such as architectural photographer Ezra Stoller, American photographer Minor White, and abstract painter Agnes Martin. Moving adeptly between commercial and fine arts photography, Woodman’s unique combination of traditional and digital methods lends his work technical proficiency, formal refinement, and conceptual weight. His diverse subject matter, ranging from portraits and landscapes to probing examinations of masculinity and personal identity, remains consistently intimate, characterized by a subversive perspective and eccentric wit.Though Woodman has been an engrained figure in the international art world for decades, the artist has chosen to remain at the margins, living and working primarily in the American Southwest. 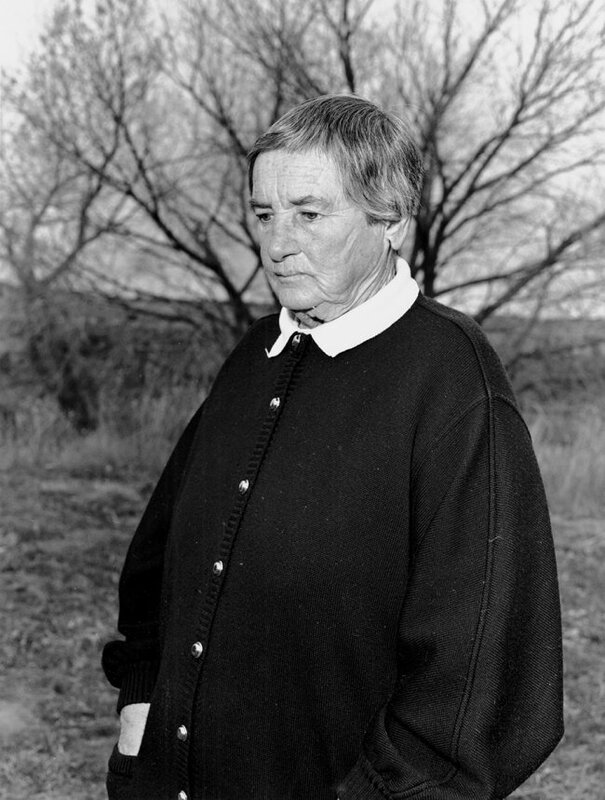 Regarding this tendency, Woodman says, “For most of my career, New Mexico has provided me with a respite from some of the unbearable excesses of civilization. I have chosen to stay out of the limelight in order to preserve the freedom to pursue my personal vision.”Aptly, Horizons is an exhibition of large-scale photographic prints capturing the vastness of the American Southwestern landscape. Focusing on the dramatic play of light on the horizon, Woodman’s recent works posit the desert as a sanctuary. His reverence for the landscape is evidenced in these rich, lush photographs that highlight the unique and fragile ecology and question notions of limitless natural resources and boundless frontiers.Woodman’s works are in the permanent collections of dozens of institutions including The Victoria and Albert Museum, London, England; Walker Art Center, Minneapolis, MN; New Mexico Museum of Art, Santa Fe, NM; and Contemporary Art Museum, Kumamoto, Japan, as well as various private collections. His photographs have also been published in Time Magazine, Newsweek, Vanity Fair, Art in America, and ARTnews, amongst many others. Woodman has frequently collaborated with his partner, the iconic feminist artist Judy Chicago, to realize significant projects at institutions including Getty Research Institute and the Brooklyn Museum, as well as transdisciplinary projects at universities including Vanderbilt University, Nashville, TN; Western Kentucky University, Bowling Green KY; California State Polytechnic University, Pomona CA/ Pomona Arts Colony/Pitzer College Claremont CA. 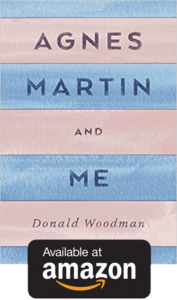 In 2016, Woodman published a memoir titled Agnes Martin and Me recounting his time working closely with the renowned artist. To commemorate the 10th anniversary of the gallery, we are excited to present “Kinship,” a group exhibition of works by our extended family of represented artists and artist-friends. Touring to Mackenzie Art Gallery, Regina in 2019This exhibition will gather together for the first time all of Martin’s forty-six works in print with selected paintings that relate to the prints, post 1973. A parallel exhibition of ephemera and source material would introduce Martin’s life and work, focusing on her on-going relationship to Canada – her childhood in Saskatchewan, Alberta, and British Columbia, as well as her later travels in Canada.On a Clear Day, created in 1973 at the invitation of print publisher Robert Feldman of Parasol Press, marked Martin’s return to work as an artist. It represents an idealized exploration of the potential vocabulary of the grid, Martin’s chosen subject for much of her painting career.Martin first settled on a remote mesa in Cuba, New Mexico where she lived from 1968 to 1977. During these years, especially in the period that followed the printing of On A Clear Day, Martin was inspired to explore a radical new direction in her work. Although she continued her grid works on canvas, she also began to paint horizontal bars of thin washes of colour, both in watercolour on paper and with acrylic on canvas. This new direction in her work was also explored in several prints between 1977 and 1998. Although Martin is best known for her works on canvas and drawings, her prints represent a highly significant aspect of her work. Although On a Clear Day were her first editioned prints, there exists an earlier body of work in which she combined intaglio technique with drawing. Martin also produced several additional prints that relate to her later striped paintings in the same way the 1973 silkscreens subsume her explorations in the grid paintings. 444, 1011 – 9th Avenue S.E. River, toward the Arctic, which her “voices” instructed her to undertake. Illustrated by Woodman’s photographs, this book adds a crucial dimension to the Martin story and is destined to become a small classic of art biography. Click here to purchase, available now on Amazon! Click Here to Purchase Agnes Martin and Me on Amazon!